Disclaimer: This car is not stock. This car has numerous mechanical and cosmetic upgrades. Driving experience may differ. After decades of building economy cars, Honda sought to add excitement to its lineup. In the late 1980s-1990s, Honda started launching affordable sporty cars like the Del Sol, Prelude, Integra, and the not so affordable NSX . Even though the Prelude and Integra were popular, Honda still felt the need to add a rear wheel drive sports car that would be smaller and cheaper than the NSX. In 1995, Honda unveiled the SSM (Sport Study Model) concept at the Tokyo Auto Show. After this, Honda pushed forward with putting the SSM into production, and the S2000 was launched in April 1999 to commemorate Honda’s 50 year anniversary. Honda denoted the 2 in the S2000 name to denote a 2.0 liter four cylinder engine (In 2004, the S2000 received a 2.2 liter four cylinder), a tradition that heralds back to S500, S600, and S800 1960s roadsters which inspired the creation of the S2000. As a no frills sports car with a price just over 30 grand, the S2000 garnered praise from several publications worldwide due to its blend of high performance and typical Honda reliability. 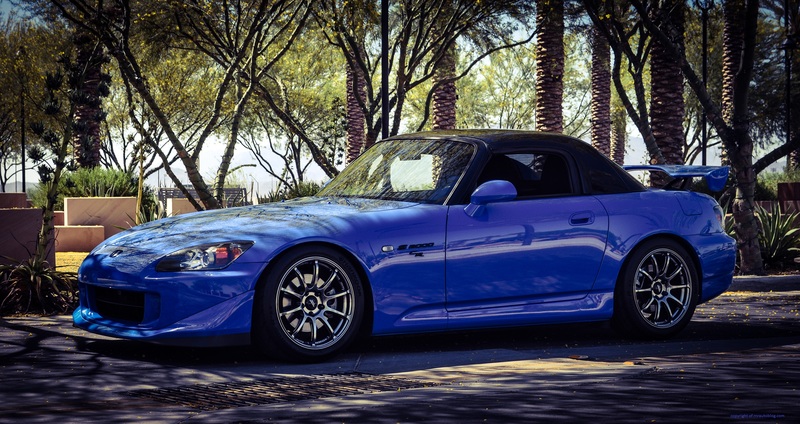 For 2004, the S2000 received a refresh and became the AP2 (the 1999-2003 was called the Ap1). It received a track ready Club Racer version in 2008 with more focus on less weight and better handling without a bump in horsepower. Sound deadening was removed to save weight, and the radio and air conditioning system became options. An aluminum hardtop was fitted, and the softop on non CR versions was removed to save weight as well as make room for a large additional chassis brace. The CR version was intended as a farewell gift to Honda engineer Shigeru Uehara as well as turning the S2000 into a track ready car that could be tracked on the weekend and driven to work on Monday. Only 699 CRs were produced worldwide in the two years it was offered. Even when I was young, I have always coveted the S2000. I remember reading all the car magazines rave about this car, and having grown up with Hondas all my life, I knew that someday I needed to drive one. Typical for a Honda, the S2000’s design is a paragon of simplicity and function. I think the simple lines work in its favor as it still looks good after all these years. In the front, high intensity headlights and an aggressive bumper dominate the appearance. There is a subtle character line that dominates the side profile which is complemented by the hardtop. 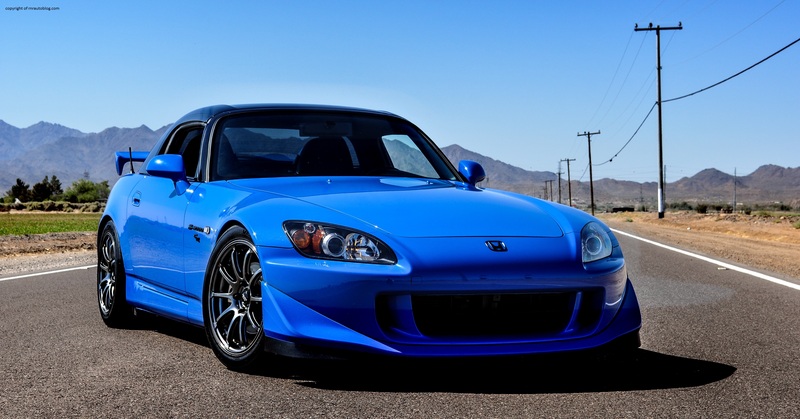 The hardtop gives the impression that this S2000 is a coupe, not a convertible. Frankly, I could do without the rear wing, but the exhausts are detailed, and the taillights look fantastic. The color options for the CR version consisted of Apex Blue Pearl, Grand Prix White, Berlina Black, and Rio Yellow Pearl. The Apex Blue Pearl suits this car nicely while highlighting its track ready pretensions. As for exterior design, there is not much to say since it is very simple, but it is attractive and purposeful. 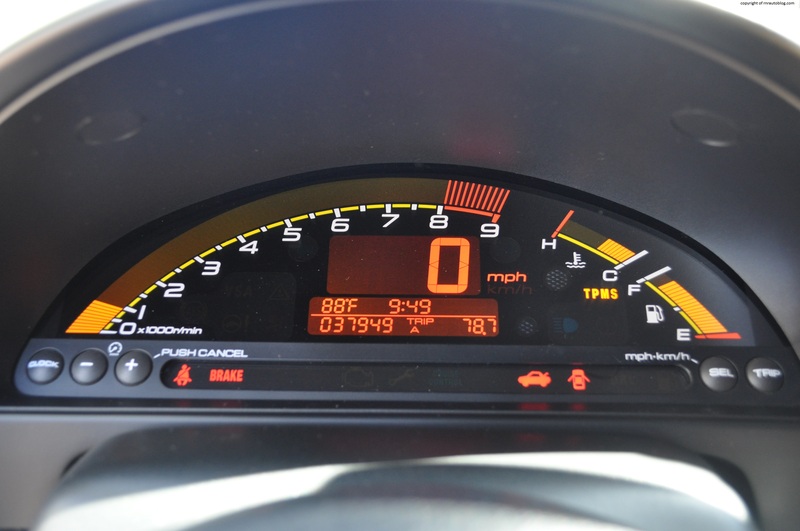 The digital gauges cluster is a nice touch that heralds back to the gauges cluster of a ’90s F1 car. The yellow and black color scheme is unique to the CR version as is the faux carbons trim and the yellow stitching and highlights. As for handling, I have read nothing but good things about the S2000, and this CR version does not disappoint. With a curb weight of 2,865lb with the AC and radio (2,765 lb without AC and radio), the S2000 is very light, and it feels like it. You know how you can’t hit a fly because they move so quickly? That’s how this feels. With a perfect 50/50 front to rear balance, the S2000 has the dynamic capabilities of a go-kart. Approaching a curve at high speed, it stays firmly planted without any hint of understeer or any body lean. The perfectly weighted steering moves with a laser-like precision. 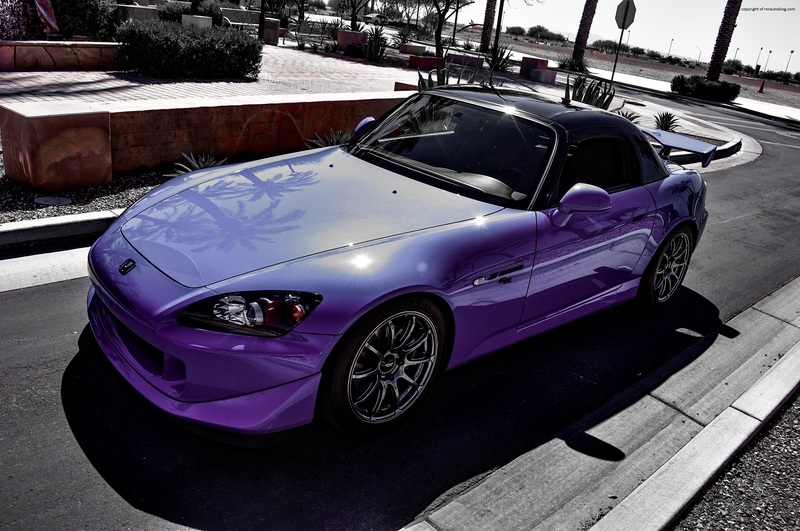 This might be a bold statement, but the S2000 is a marvel. I had to ask the owner for more time driving the car simply because I wanted to enjoy it more. This car doesn’t just handle well. It feels engineered to the max. As I turn the wheel, I feel the suspension and the steering working in harmony. Sadly, I did not get the chance to push this car to its limits, but I can already tell that it is a capable machine. However, the ride quality takes a beating. The aggressive and track oriented suspension is unable to cope with pavement changes, even on smooth roads. It is not that bad, but you are always aware of the bumps. Non CR versions have a better ride quality due to being equipped with a softer suspension. Even though convertibles are known for their loss of rigidity, the S2000 feels very solid, a benefit of being designed as a convertible in the first place (most convertibles are designed after coupes which is how they loose their rigidity due to the loss of the top). Stock versions of the S2000 and its CR counterpart featured 237 horsepower from a 2.2 liter four cylinder engine. This 2.2 liter four cylinder engine was the first to make 120 horsepower per liter, a record that is eclipsed only by the Ferrari 458 Italia. 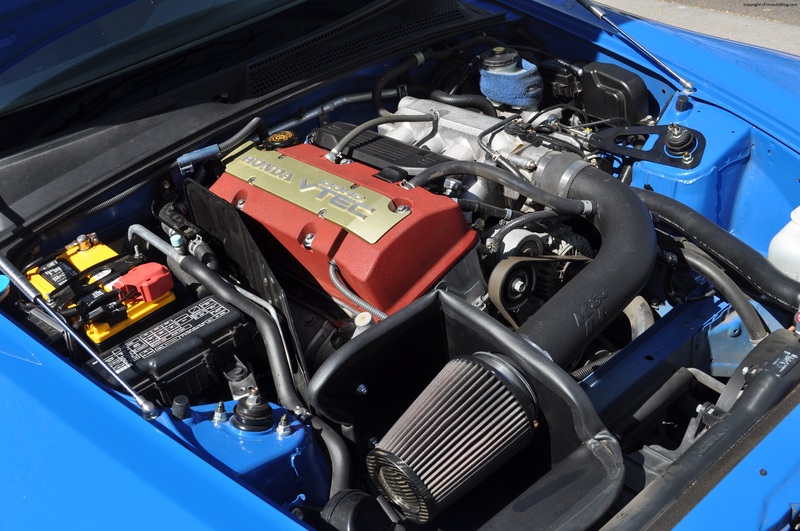 However, this S2000’s engine modifications bump it to 260 horsepower. While not outright fast, it is very quick. Even though the engine has been criticized for not having any low end torque, this manages well at low revs. Honda is known for its VTEC technology in its four cylinders and V6s. It is a a system that allows the engine to have different camshafts depending on the engine speed. 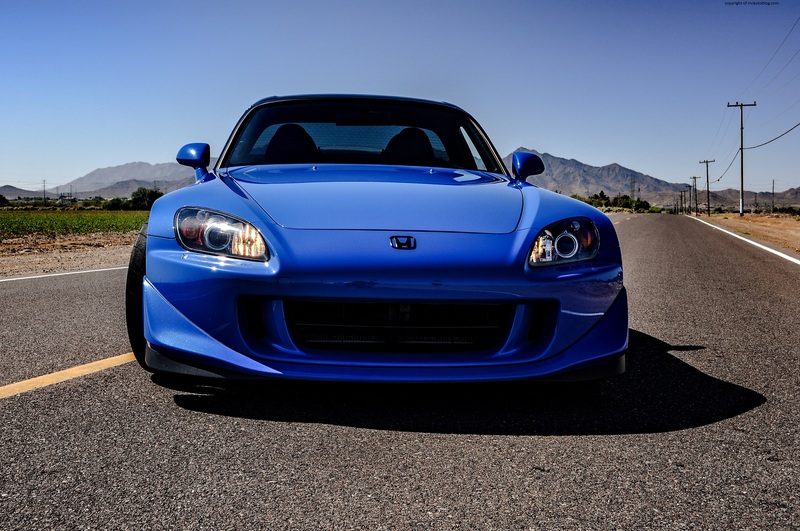 At 6,000 rpm, when most cars will reached their limit, the S2000’s VTEC kicks into motion and gives a boost that lasts all the way to 8,000 rpm. In the AP1, the redline was to 9,000 rpm, but it lacked low end torque. Nevertheless, I never felt that it needed more horsepower. 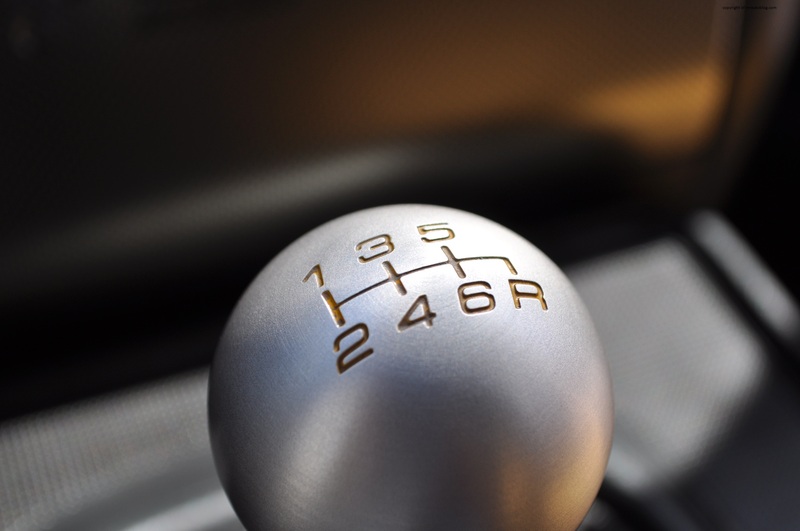 The only transmission available is a six speed manual transmission. I have always read about how Honda and its luxury division Acura make some of the best manuals in the business, and the S2000 is no exception. 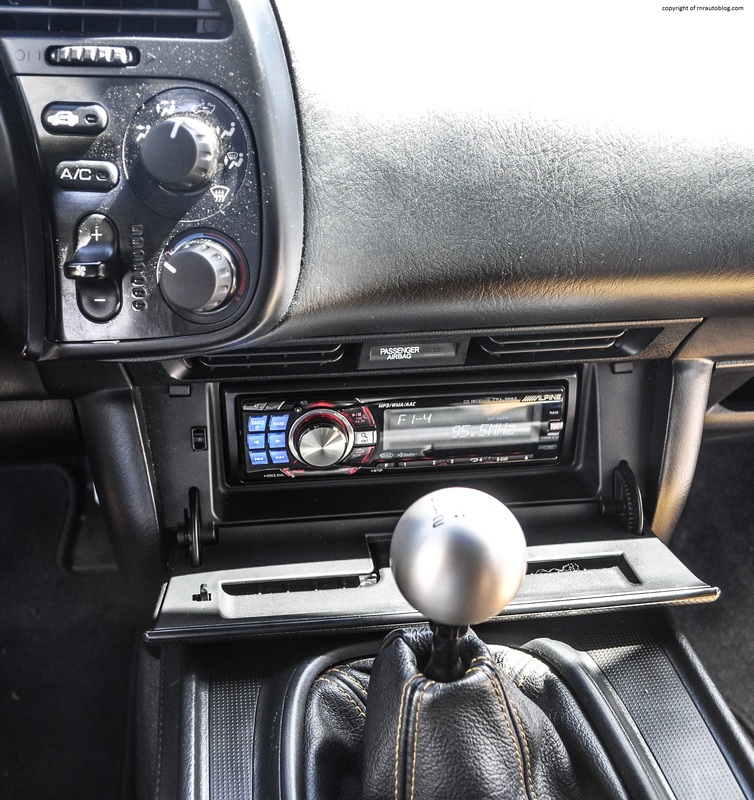 The gear shifter is super slick and seems perfectly matched to the engine, and the clutch has excellent bite and feedback. It is not a surprise that the S2000 continues to receive awards for its engine and transmission. Fuel economy is decent at around 25 or better mpg overall. The CR’s aluminum top gives it decent refinement for a sports car. Even though there is no sound deadening, the wind and road noise are tolerable. The engine sounds great, and it has an addicting whine all the way to its redline. The interior may not look like it, but it is high quality, and there is fastidious attention to detail. The seats are composed of non slip materials for better support in the corners, and they feel comfortable. Their confining bolsters may not fit all people though. Even though the steering does not tilt or telescope, the driving position is decent. The controls and the gear shifter are within reach, and you are low to the ground which I prefer. The radio hidden by a cover can be revealed just by pushing the cover. Personally, I would have preferred that the volume controls were in the same place as the radio, not on the other side of the steering wheel. What I like best about the controls are their simplicity. Instead of some fancy design, the AC system is composed of simple buttons right by the steering wheel. If you’re like me, you won’t mind that the cabin feels snug, but for other people, they may find the interior too narrow and tight. The digital gauges are unusual, but they are easy to get to used to. With the hardtop up, visibility is terrible, and it does not help that the big rear wing obscures it. Access is tedious due to the car’s low height, and I struggled getting out of the car without any hassle. Storage space is limited, and the trunk is tiny. The digital gauges, the red engine start button, and the cockpit driving position make me feel like I am not in a car, but in a spaceship. I first learned about the Honda S2000 the same way I learned about Japanese sports cars, by playing the Gran Turismo series. In addition to numerous versions of the Nissan Skylines, Mazda RX-7s, Toyota Supras, they featured more than 10 variants of the Honda S2000 that you could drive in the game. From this point on, I became fascinated with the Honda S2000, and looked it up and read all about it. Given my love of Honda, it was no surprise that I would become so infatuated with this sports car. When I learned of a mutual friend who has a Honda S2000 that I could review, I could hardly wait. I was worried that I set my standards too high for this car, and I would end up walking away disappointed. The good news is that the S2000 exceeded my expectations and not just that but driving this sports car made me reflect on the automotive industry. Burdened by strict safety and fuel regulations, cars are not as fun to drive as they used to be although they are safer and more fuel efficient. Honda is one of those companies who faltered by trying to get more sales at the risk of dulling their lineup. The S2000 represented the peak of Honda. When Honda stopped production of the S2000, the fun to drive index went down. Now I know why a car like the S2000 is lamented as it is an overlooked gem. It offers pure and uncompromised driving thrills that you simply cannot get in a different car, and its four cylinder with a 8000 rpm redline is one of the finest four cylinders ever made. Before this review, I said that the 1992 Acura NSX was the best car I have reviewed. I still stand by that. But the Honda S2000 is the second best car I have reviewed. It is that good. Gorgeous car and a thorough review! I’ve had several Preludes and I’m a huge fan of the S2000. Great review!